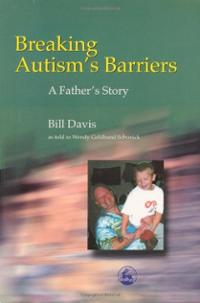 Breaking Autism’s Barriers by Bill Davis and Wendy Goldband Schunick. This is a story about a father who struggles to find proper help for his son, Chris. It is an honest, direct account from a father’s perspective of bringing up a child with autism, and the pressures and pleasures this brings to him, his wife and daughter. He describes their daily life, his involvement in advocacy and education, and strategies for coping. Pp. 398. This entry was posted in Family Relationships and tagged advocacy, ASD awareness, Autism Spectrum Disorder, books, daily life, Family Relationships. Bookmark the permalink.